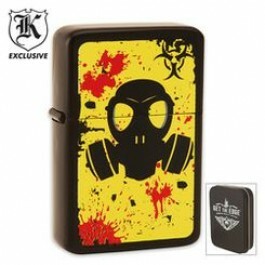 Buy Hazmat Get The Edge Lighter , from Budk - RBC VISA for $10.49 only in My e-commerce. Don't pay a ridiculous price for a wind-proof lighter, this premium crafted Get The Edge® Hazmat lighter gives you the quality craftsmanship you've come to enjoy at a bottom-line price. 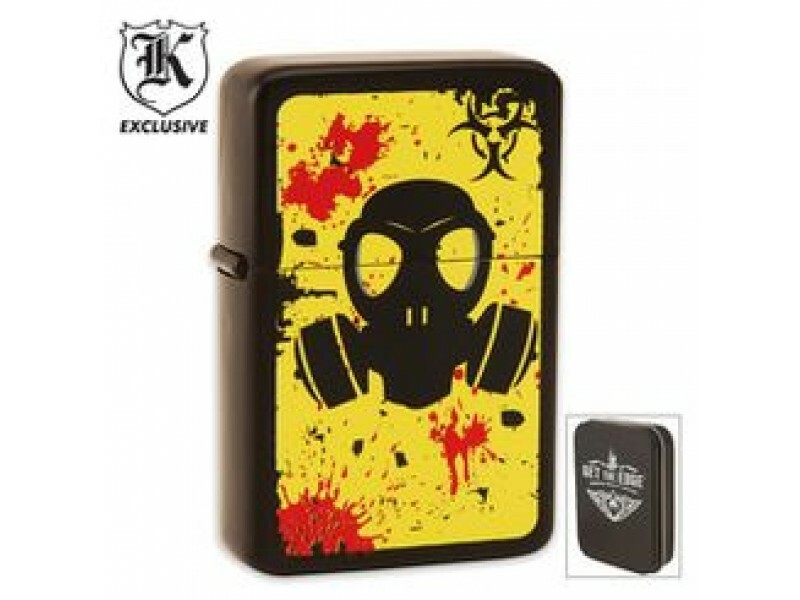 It features a glossy black body with a biohazard symbol and gas mask design on the front of the lighter. Each lighter is crafted with precision and guaranteed to perform. (Fluid not included).